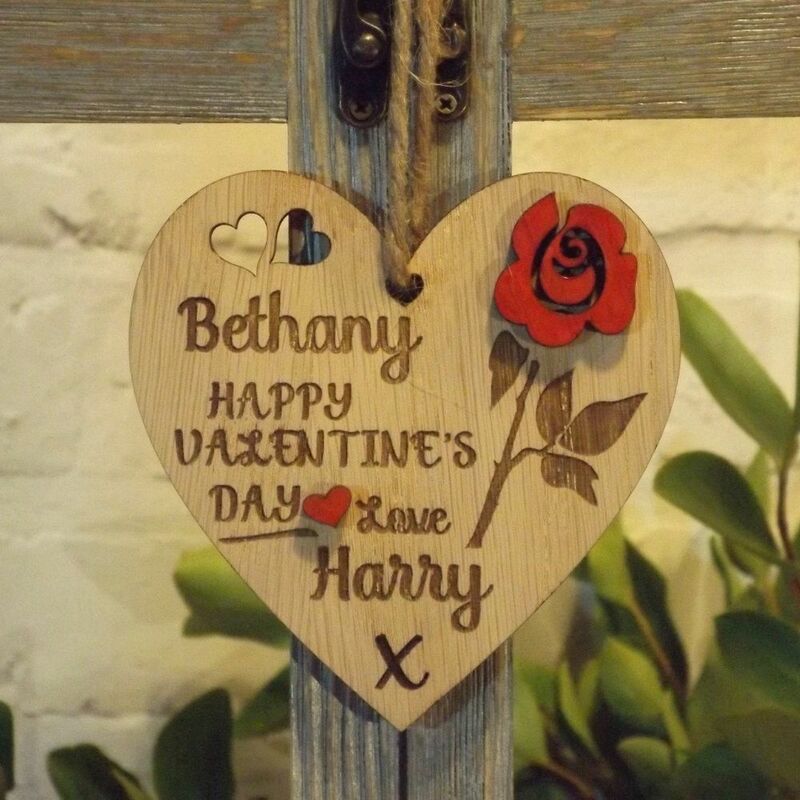 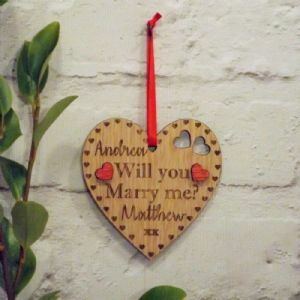 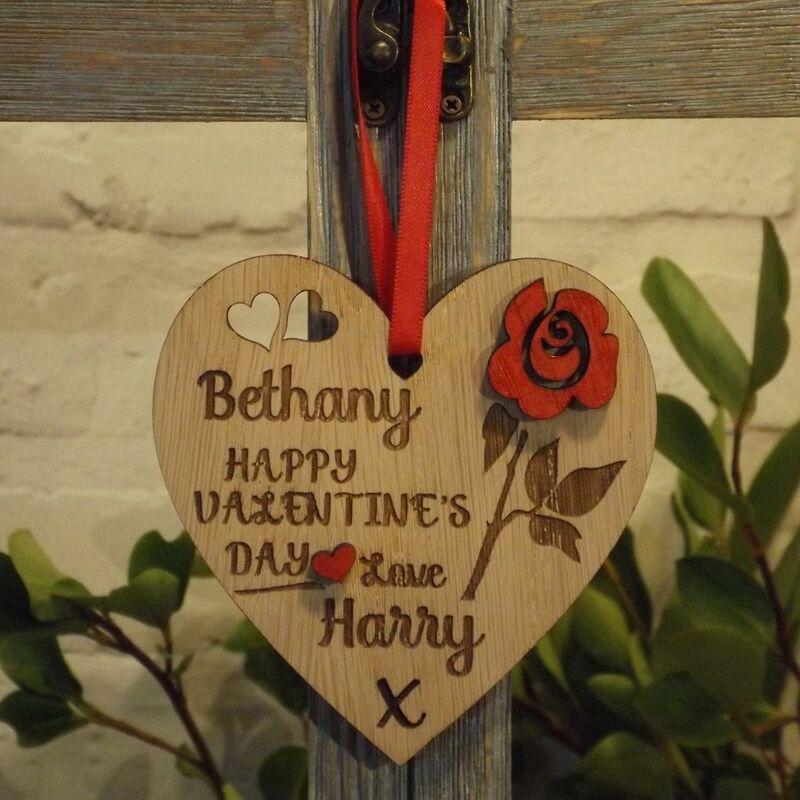 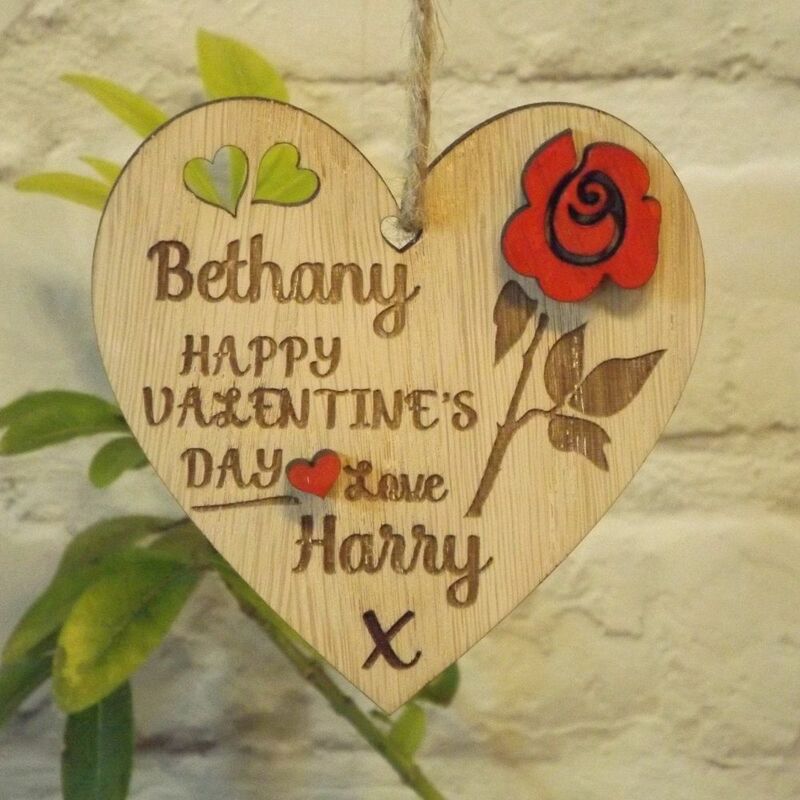 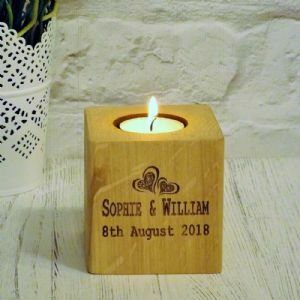 This beautiful rustic wooden heart decoration features the wording 'Happy Valentine's Day Love' and can be personalised with a first name at the top and at the bottom. 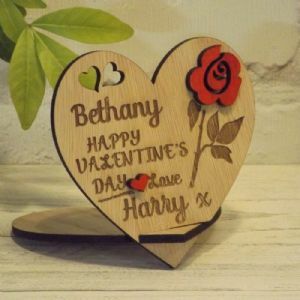 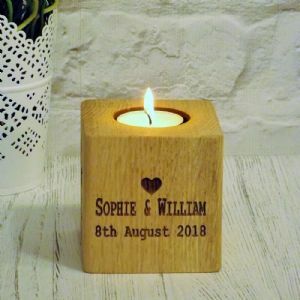 Made from oak veneered wood the heart features a pretty design with two cut-out hearts, a raised hand-painted red rose and heart embellishments. 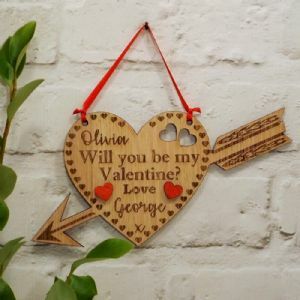 Strung on your choice of either a silky red ribbon or a natural jute twine, so it is ready for hanging around the home or alternatively would look good attached to a gift or flower bouquet!